Anze Kopitar, Kings Center and star offensive player. LOS ANGELES—Coming after their 6-4 victory on Saturday, October 21 over the Columbus Blue Jackets, the Los Angeles Kings have now won six of the eight regular-season games they’ve played this year. Prior to last night’s 3-2 loss to the Toronto Maple Leafs, the one black mark on the team’s record came on October 11 during their overtime loss to Pacific Division rivals, the Calgary Flames. As of a result, the Kings remain one of four teams in the NHL that have suffered only one loss in regulation time. What has been the cause of the Kings’ success – especially in light of their disappointing 2016-2017 season? On one hand, they’ve maintained a consistent, inspired defense – a hallmark of the team. At only 17 goals allowed (the second fewest in the League), the Kings have maintained a spirited goaltending presence in the form of Jonathan Quick, who seems to be back in top form again despite being out for nearly five months last season due to a groin injury. In fact, Quick currently maintains the seventh best save percentage in the League at .934, just a hair behind Ben Bishop (Stars) at .928 and Keith Kinkaid (Devils) at .932.
Credit is also due to a reinvigorated Kings offense, headed by Dustin Brown and Anze Kopitar. The latter of who seems to have regained –at least for now- the scoring ability that made him such a threat prior to 2016 and which seemed to have largely departed from him last season. 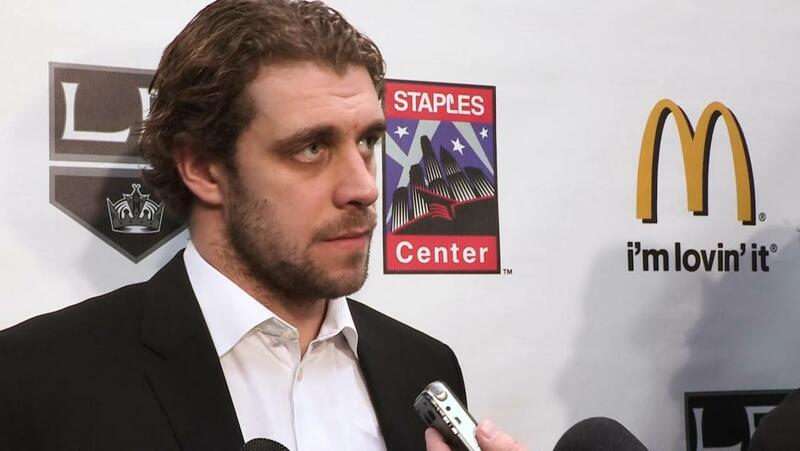 In terms of goals scored, Kopitar stands at a 16-way tie for sixth place, having netted six pucks so far this season. Tonight’s game versus the Ottawa Senators will give Kopitar a chance to move up in the standings. Right-winger Dustin Brown has leveled his considerable offensive pressure abilities against the opposition this year. He produced three assists and one empty netter goal in Saturday’s victory over the Blue Jackets and ranks second in the Kings’ offensive performance standings. Though for the nonce they rank first in both their conference and division, stiff competition remains for the Kings in multiple forms, including both the St. Louis Blues (who have now tied the Kings’ points total) and the Las Vegas Golden Knights who are on track for a stellar debut season, defying many critics’ expectations with both their team coordination and lockdown defensive output. While it’s clear that the Kings new offensive coaching has produced dividends so far, the season is still young. Should the offensive coaching staff continue in their efforts to simultaneously focus and highlight the scoring chances generated by the abilities of Kopitar and Brown, there is no reason to expect anything less than sustained success for the Kings.